The Barbados Olympic Association is organising the 50th Anniversary Independence Games later this month. 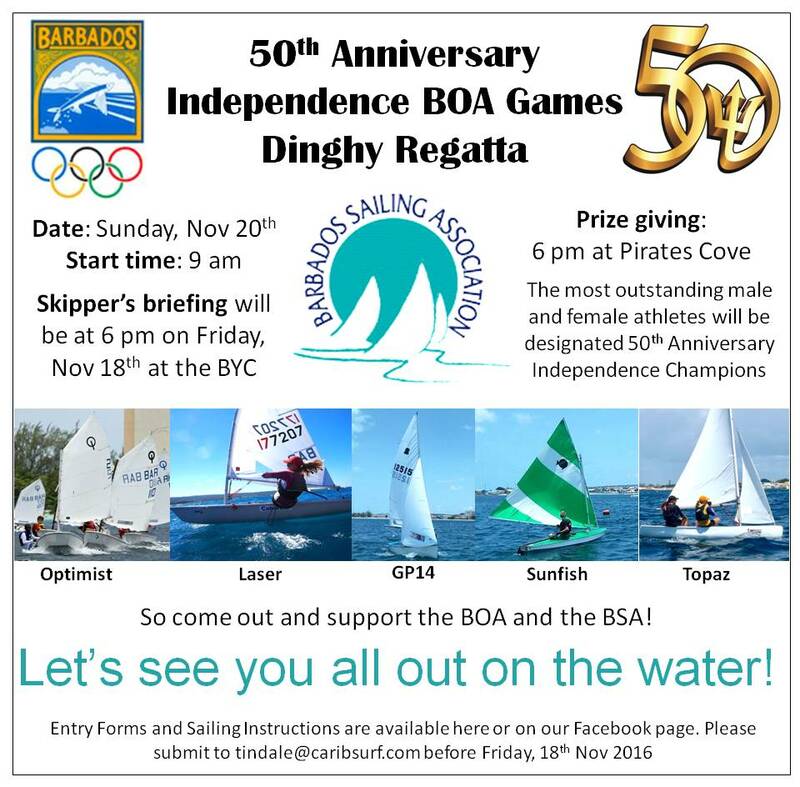 As part of these Games, the Barbados Sailing Association is holding a dinghy regatta as part of the Barbados Beach Games being held at Pirates Cove, Carlisle Bay, on Sunday, 20th November. The Final Registration and Skipper’s Briefing will take place in the Club House of the Barbados Yacht Club at 18:00 hrs on Friday, 18th November, 2016. All competitors must be registered and entry fees paid before competing, and all sailors intending to compete must attend the Skipper’s Briefing.